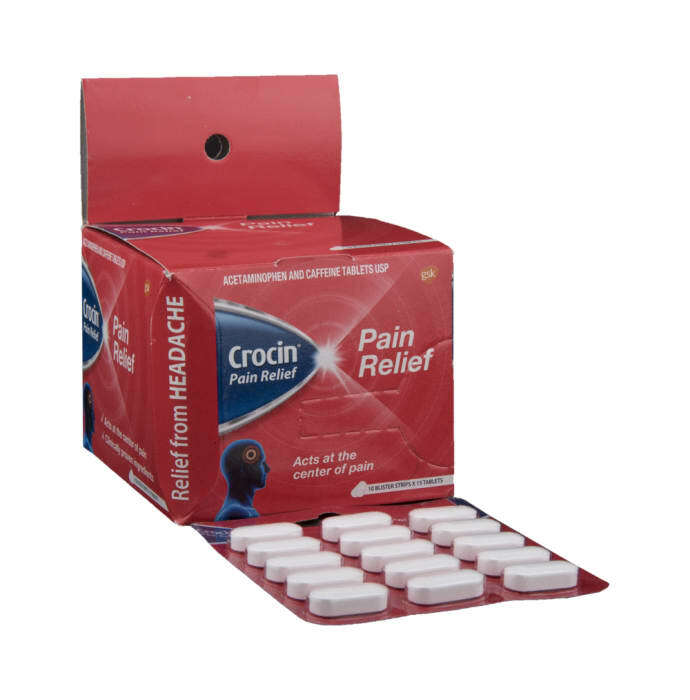 Crocin Pain Relief Tablet targets the pain and provides relief. It affects the metabolism process and stimulates the central nervous system and makes one feel energetic and alert. It interferes with the absorption of calcium in the body and increases the blood pressure. Adults & children over 12 years, consume 1 tablet 3 to 4 times in 24-hour period or as directed by the physician. Minimum dosing interval between any 2 doses should be 4 hrs.